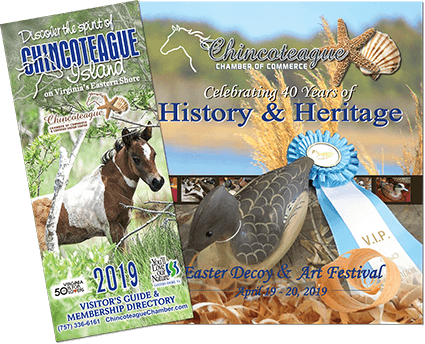 Watch Chincoteague history unfold before your eyes as local carver Roe “Duc-Man” Terry creates life-like images of area waterfowl and shorebirds from blocks of wood in his shop on North Main Street, approximately 1/2 mile past the high school on the left. Saltwater Cowboy and long-time member of the Chincoteague Volunteer Fire Company, Roe will recount stories of days-gone-by and his life here on Chincoteague Island. 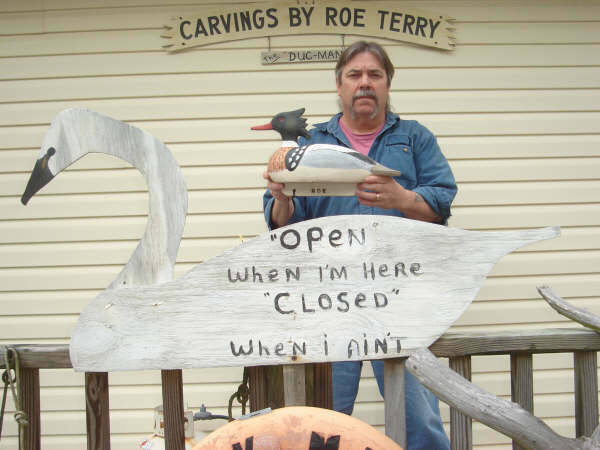 The “DUC-MAN” has been carving for over 40 years, and has won more than 300 awards for “Gunning decoys and shorebirds”. Enjoy sharing time with a legend of the islands. Take home a one-of-a-kind carved decoy by one of the best carvers on the East Coast. I am also a broker/collector of old decoys and specialize in Delbert “CIGAR” Daisey decoys.